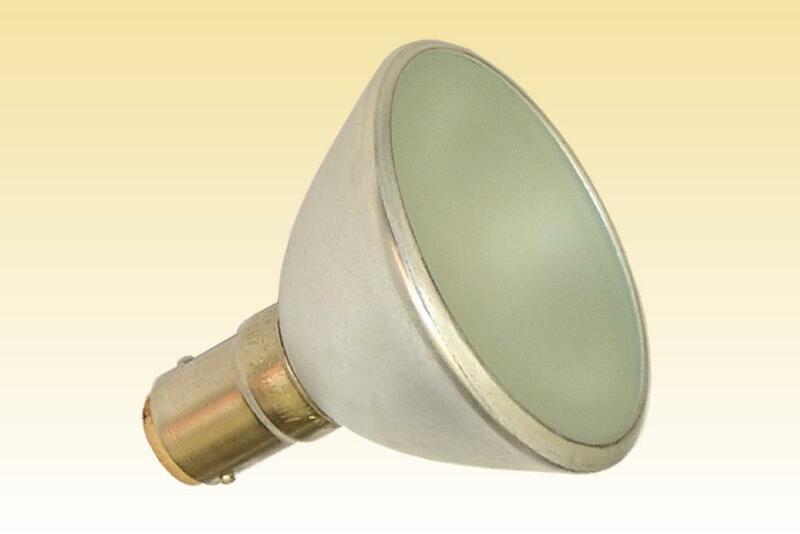 Prior to the early 1990s there were two competing styles of low volt halogen reflector lamps for general lighting. The Americans, Japanese and British focussed on glass reflectors with dichroic coating. Meanwhile the Europeans developed a broad range of aluminium types. Philips created the AR56 and AR37 with glass lenses, whereas Osram developed the open fronted AR48, AR70 and AR111 with anti-glare shields. The reflector is formed by spinning an aluminium sheet into a deep parabolic profile and punching out an opening at its apex. The halogen capsule is clipped into a small disc which centralises it in the reflector, and then cemented into the opening. 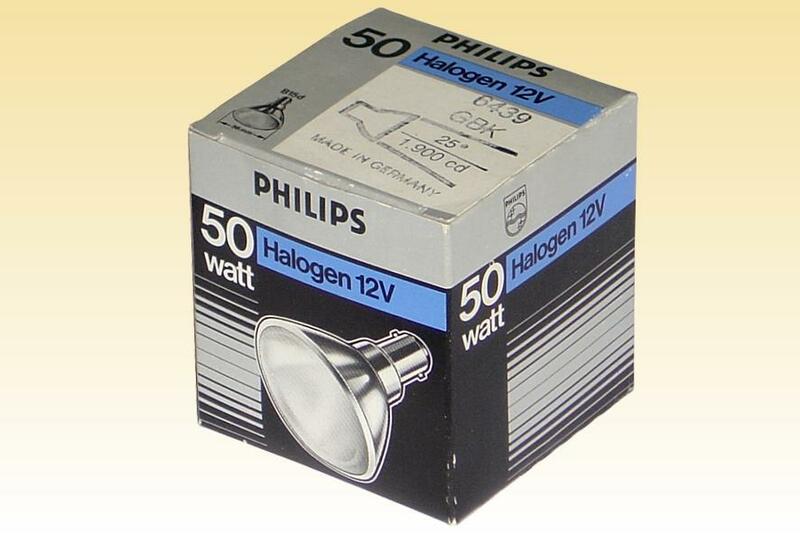 The Philips AR lamps were one of the first types to incorporate a glass shield. This provides added safety in the not infrequent event that the inner capsule would shatter at end of life. Two types of front glass were offered, the frosted version shown here for flood beams, or clear for spot types. In a later development the floods were created with a clear lens and facetted reflector, to mimic the sparkle of the facetted MR16 which was gaining popularity. Another innovative feature is the use of a bayonet cap, which made re-lamping much easier than the fragile pins of MR16. 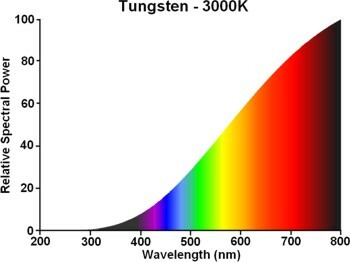 It was the strategic choice of the European manufacturers to focus on aluminium reflector lamps - viewing the advanced optics and cool beam of the dichroic versions as being over-engineered for general lighting. Although perfectly true, this took no account for the power of aesthetics. It was the glittering facets and dichroic colours of the MR16 that the market favoured, regardless of their technical purpose. By the early 1990s Philips was forced to follow market trends, and eventually established its own MR16 production. Max. Overall Length: 59 mm 2 3/8"